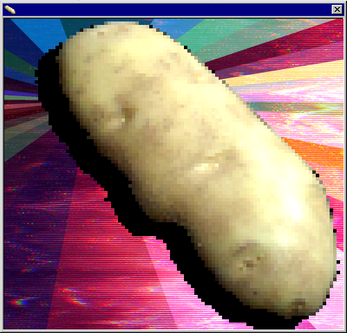 Electric Love Potato is a virtual potato desktop assistant that offers positive reinforcement, serenades you as you work, and creates random potato recipes. 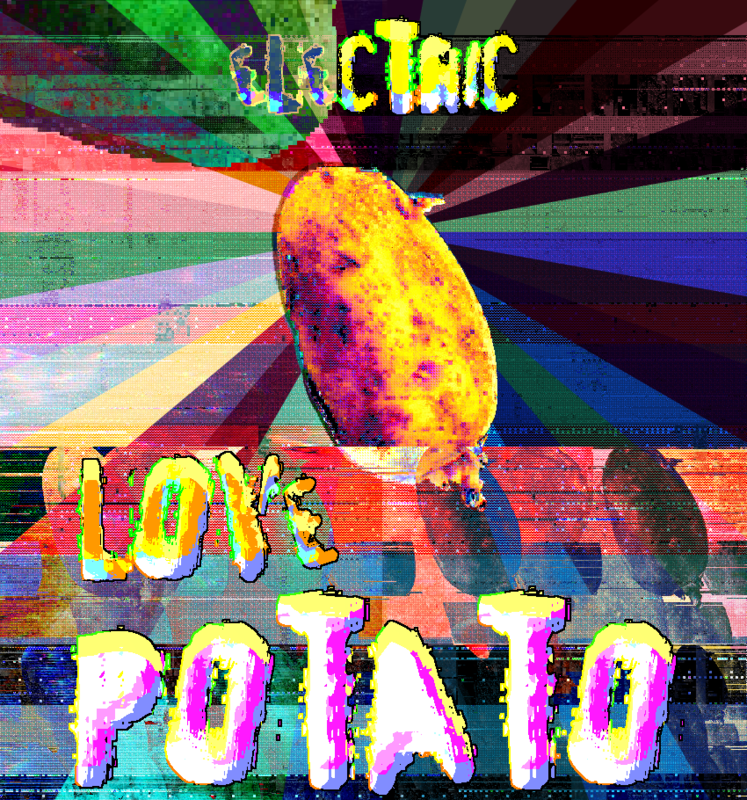 Electric Love Potato is not a game. Electric Love Potato is a desktop application. It is a game enhancer. Like the Oculus Rift, Mouse, or Keyboard, Electric Love Potato will take your game, browsing, or workday, and take it to a new, positively reinforced, level… from the bottom right of your monitor (where it prefers to operate). * Steady steam of positive reinforcement. * Probably works best on a Mac. 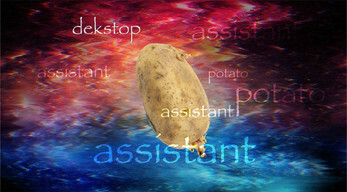 Electric Love Potato is best used while you are working, or gaming. It will provide positive insights completely unrelated to what you are doing. Q: My potato is beginning to "creep me out". What can I do? A: If your potato is causing you discomfort simply shake the window. 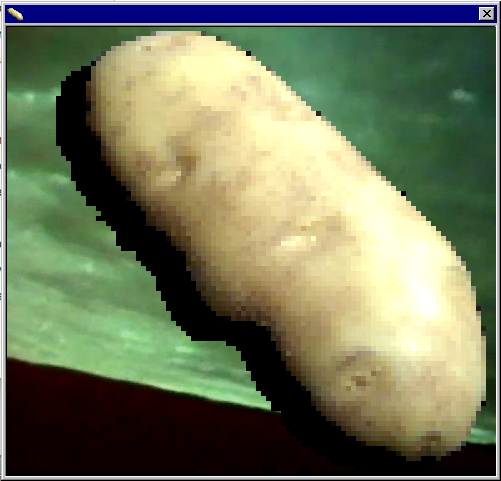 You can do this by mousing over the potato, and grab the draggable bar (part of the window that appears). This will jolt the potato causing it to re-think what it is doing. 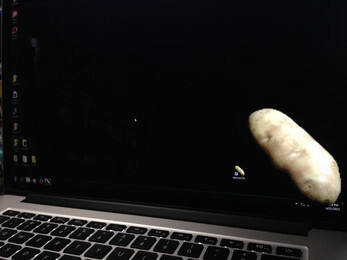 Q: My potato is beginning to make me feel uncomfortable by making unwanted approaches. A: It is normal for potatoes to develop feelings for whom they are assisting. This is perfectly natural, especially for Russet Potatoes. If you do not share these feelings simply ignore the potatoes approaches. Because the potato is a potato, and not human, its feelings will not get hurt. 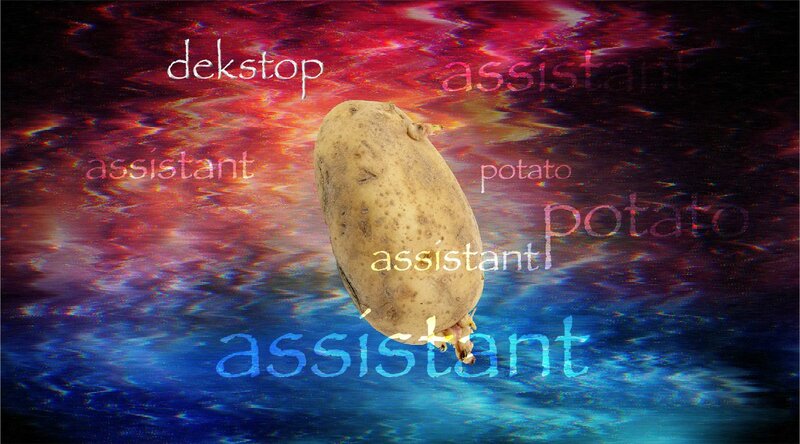 Potatoes simply do not function like that. The Electric Love Potato respects your boundaries. Q: Sometimes the potato sings to me even if I didn't give it permission. A: Sometimes the potato cannot contain it's excitement. It does not do this out of spite, or as an act of disobedience. It does this because it is an Electric Love Potato.